The trilogy is a dangerous platform on which to develop any form of entertainment, the legacy of previous instalments often hanging heavily over the latest chapter. Dreadful movies such as Terminator 3 or Jurassic Park 3 and games such as Doom 3 are prime examples; it’s easy to slip into the rut of 'more, with bigger explosions/dinosaurs/demons' (delete as appropriate). 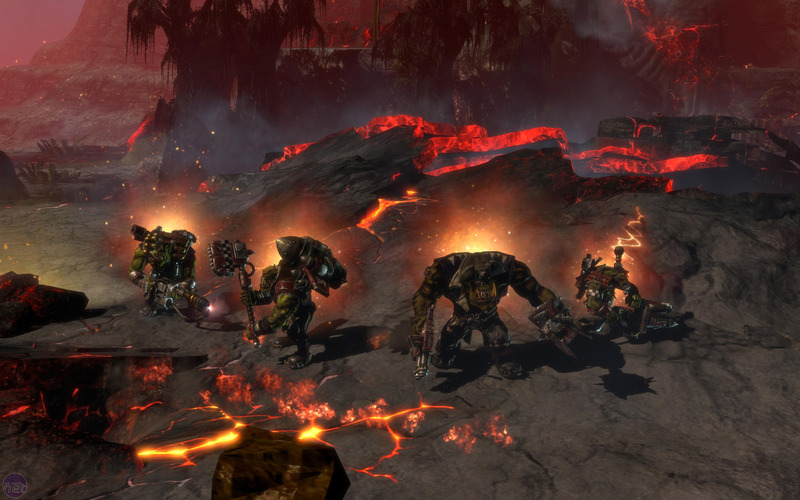 Not that Dawn of War developer Relic is too worried about Retribution, the third instalment of Dawn of War II’s Ork-smashing, Chaos stomping, Eldar-slicing over-arching storyline. This time it’s been more ambitious than ever, and takes us back to sub-sector Aurelia with a whopping six different races with which to play the single player campaign. Yes, finally you can play as not just the over-exposed Space Marines, but also as the forces of Chaos, Eldar, Tyranids, Orks or the all new Imperium of Man. Sadly it’s not as good as it might sound, though, because despite the great choice of armies, the campaign itself is largely the same regardless. Ten years have passed since the events of Chaos Rising, in which the Blood Ravens Space Marine chapter was infiltrated by an agent of Chaos and the Imperium of Man has finally had enough of this troublesome sector. An Exterminatus fleet is on the way to wipe out any life from all the planets in the region, and each race has its own motives behind causing trouble before they arrive. The reasons why aren’t too important, though, as there’s very little difference between campaigns, whatever race you pick. Missions play out identically whether you’re killing the bad guys as Tyranids or The Imperium, and this grates when you head back on a second play-through to be met with identikit missions. The huge variety of races available does breathe new life into the franchise, though, not least because we were a little fed up with playing as Space Marines. It's entertaining to play as all the new races, which are well rounded, but the Imperium of Man troops are the highlight, with their massed ranks of fragile infantry, lumbering, dumb-as-a-post Ogryn shock troops and rumbling heavy tanks. Relic’s enthusiasm for the Warhammer 40k universe is as evident as ever, and there are plenty of charming little touches and nuances that 40k fans will appreciate. 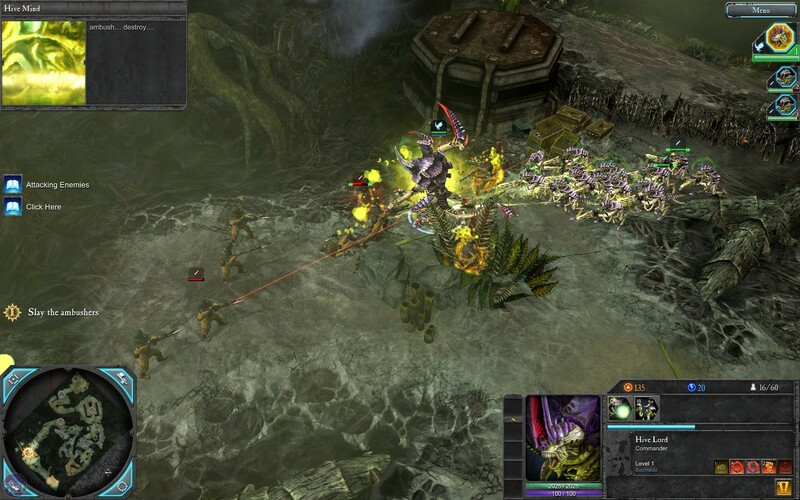 As well as adding five new single player races, Relic has also tinkered with Dawn of War II’s core gameplay for Retribution – a bold choice for what's essentially a stand-alone expansion pack. Whereas in the past players had the choice to field four of six specialist upgradeable squads, Retribution splices this with the more conventional RTS format. As well as your consistent, character units that get involved in the story line, you can now purchase additional units from reinforcement points in the game. There’s also the option to swap out hero units for honour guards; fully upgraded troops that gain experience in their place.